Get all of your patient data, S.O.A.P. notes, billing information, and much more from an all-in-one Chiropractic Management system. Enjoy the ease and simplicity of a paperless office that allows you to access the data you need from a variety of different devices quickly—so you can focus on helping your patients. 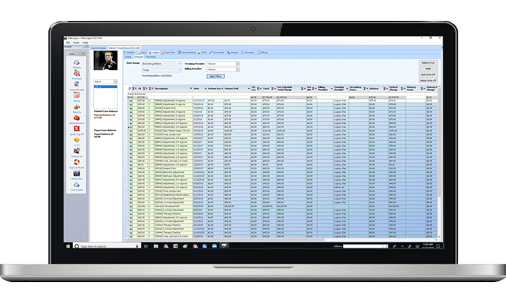 This service comes complete with top-notch security to protect crucial patient information while allowing you to contribute anonymous information to a mass database for the purpose of clinical research.  All this is given to you for one simple subscription fee (plus startup fee), with the option for additional cloud support and marketing tools. You even have a server buy out option for a waived startup fee and a lower monthly Pro subscription. These Base EMR features are included with all packages. This is all that is included in the Basic subscription. More features are included with the Pro package. 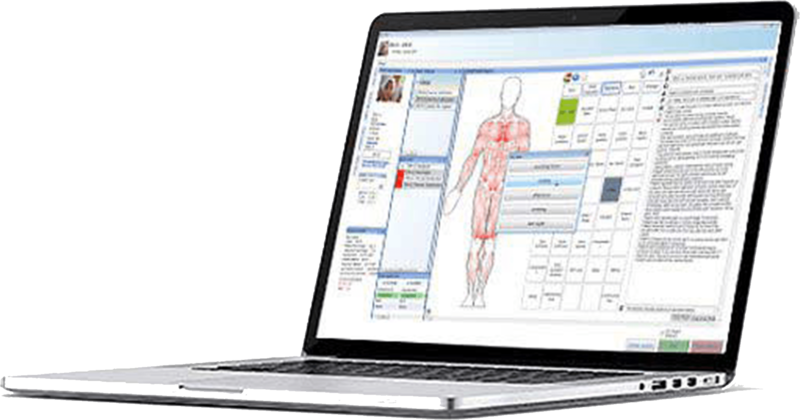 Cloud Based Chiropractic Software and Platinum Marketing are available in addition to either Basic or Pro subscriptions. These are the two main subscription types for the Base EMR. Server buy out option. $8,500 up front for basic. With server buy out option, the one-time fee is waived. Server buy out option. Only $150/mo for Pro. These additional services come with the purchase of either a Basic or Pro subscription. This software is amazing and will fit any technology level. This software can manage your schedule, billing, and even does complex calculations to tell you where you need to focus in your practice. You as the doctor can create customized macros to save you time on notes and be more effective with patients. As a newer employee, I have found this system to be extremely user friendly and helps with time management. This product is extremely easy to use on the administrative side of it. I enjoy being able to easily add, edit and view patient information. Adding treatment codes and different appointment types is also very efficient. Our effort to create the best solution for your practice includes a commitment to excellent support. Contact us for information about sales, support, or to request a demo.